Not just multiple cultures, India boasts diversity in road conditions, too. From long, straight multi-lane highways to winding roads flanked by scenic beauty, the country has it all. But on the slightly less glamorous side of things, our road network also has a lot of bad, unpaved roads. And not just in villages, there are a plenty of these in metro cities as well. We take a look at cars under Rs 7 lakhs, and find out which could be the best choices among them to tackle bad roads. Since we’re talking about cars for everyday use, we have refrained from going the outright SUV/MUV route. 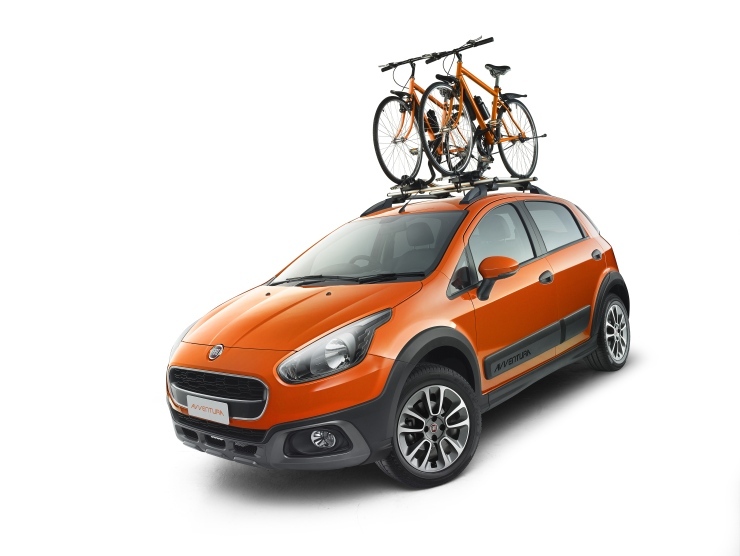 Based on the Fiat Punto Evo, the Avventura is for the outdoor-type. The twin-tone design theme makes the Avventura stand out. It also gets new bumpers, plastic cladding on the lower part of the body, roof rails, and a tail-gate mounted spare wheel. Okay, the earlier Punto and Linea weren’t too high off the ground clearance, so their undersides were susceptible to being scraped on tall speed breakers, but Fiats have never had any issue in tackling less than perfect tarmac. And the Fiat Avventura takes it a level further. The car comes with a class-leading 205mm of ground clearance, runs on wide (205-section) 16-inch tyres, so you won’t have to think twice before driving over a bad patch of road. On the downside, the engines need to be a wee bit more powerful. The 1.4-litre petrol unit makes 89hp and 115Nm, while the 1.3-litre diesel engine makes 90hp and almost 200Nm of torque. There’s also a 145hp Abarth version likely to make it to the market next month, which will surely solve our only regret. Thankfully the usual Punto traits are still there. So while you aren’t driving on the potholes-stricken roads, it will be as confident attacking corners. The Hyundai Elite i20 is a pretty successful car, despite a clear premium that one has to pay over its competitors. Having said that, it must also be mentioned that the feature-rich, good looking interior is something that most competitors haven’t been able to match. With that, Hyundai has made a product that most customers are looking for in a segment. The only way it could have improved was by offering a more bad road friendly version. And that’s what the i20 Active is! 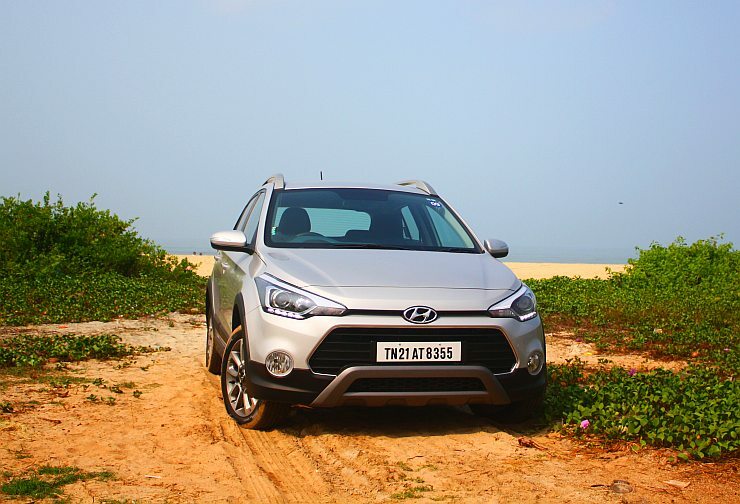 Based on the ongoing Elite i20 but with an increased ground clearance (now measures 190mm off the ground), the i20 Active is the feature-rich hatchback that the segment didn’t have. The top-spec versions get wide 195-section 16-inch wheels, while visual differences include skid plates, plastic cladding like that on the Avventura, roof rails, cornering lamps, and even daytime running lamps. Engine options for the i20 Active include a 1.2-litre ‘Kappa’ petrol and a 1.4-litre diesel. The former makes 82hp and 115Nm of torque, while the diesel unit makes 89hp and 220Nm. The devoid of feel character might still be miles away from some of the driver oriented cars, but Hyundai has certainly made a lot of improvement in that aspect. Toyota was one of the first manufacturers in India to include a crossover hatchback variant in its line up. 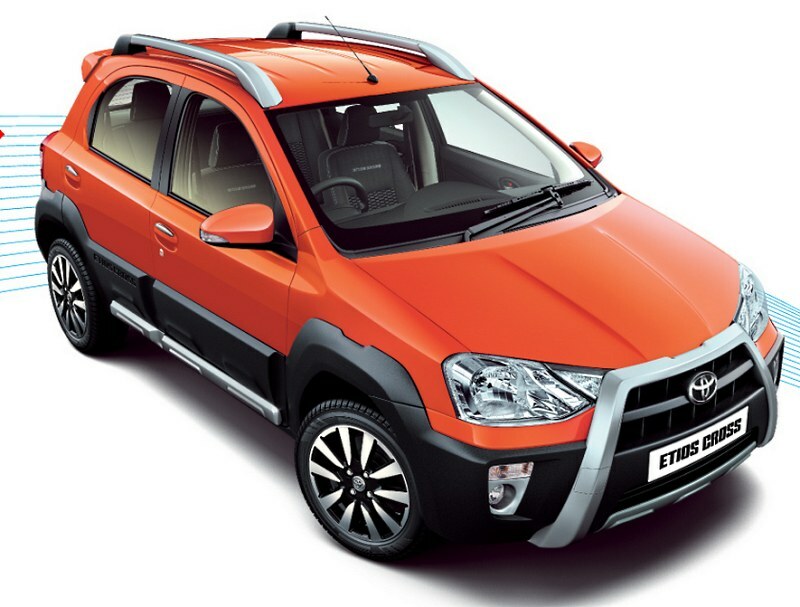 The Etios Cross is based on the Etios Liva hatchback, looks more imposing than the regular car, and uses 15-inch tyres. The crossover styling, like the other two cars mentioned above, also brings along plastic cladding, which ensures that the lower part of the body isn’t affected with stone chips, etc. Engine options for the car include a 1.4-litre diesel, a smaller 1.2-litre petrol, and a 1.5-litre petrol. The latter is lifted straight from the Etios sedan’s engine bay, and is the easy choice for spirited driving. But if it’s about tackling bad roads alone, then the diesel’s a better choice here, all thanks to its better maximum torque rating (170Nm). The imperceptible line between crossovers and SUVs is getting really thin, but the EcoSport sits firm on it. The vehicle might not be able to do serious off-road stuff, but the EcoSport could easily be the best companion to travel over bad roads. 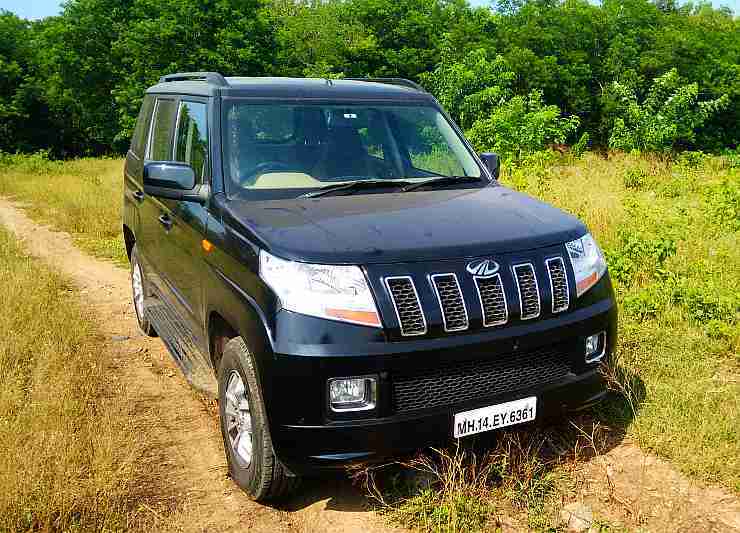 It looks solid, runs on wide 16-inch rubber, and most importantly, can travel over most bad roads in India. That is true, as long as you don’t require AWD, and a 200mm ground clearance is good enough. Engine options include a 1.5-litre petrol (needs to be revved to make progress), a 1.5-litre diesel, and a 1-litre EcoBoost. The latter is a turbocharged petrol, but offers a lot of fun. The almost diesel-like torque (170Nm) ensures that the vehicle doesn’t feel deficient when on the move. While we are talking about cars, an MUV/SUV won’t fit in the category well. But the recently introduced Mahindra TUV300 tries to be in the same market space as the Ford EcoSport. The square-ish styling is very unique, but gets widely varying opinions on whether it’s tasteful. Where Mahindra has really improved is the body dynamics. Although still using a ladder-frame construction, the TUV300 handles okay. But on bad roads, it proves its worth. The 190mm of ground clearance helps that even further. The 1.5-litre diesel engine is the least powerful here, at 84hp, but has a strong low-end torque (230Nm available spread between 1,500 and 2250 rpm; 187Nm reported to be available from as early as 1,100 rpm), which is very helpful on bad roads. An optional AMT (Automated Manual Transmission) makes it the only vehicle here to be offered with a diesel auto. And the two jump seats at the rear make it a seven-seater, again a segment first.